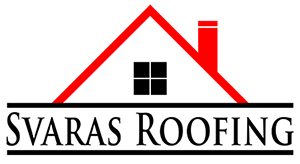 Roofing Storm Damage - Svaras Roofing Inc.
At Svaras Roofing Inc., we understand how upsetting it can be when your home suffers damage due to a major storm. From complete roof inspections to insurance claims, we’re here to help! We provide both superior customer service and peace of mind that comes from knowing that you’re dealing with a trustworthy, reliable contractor with thousands of satisfied customers. Since 1992, we’ve been one of the most successful and referred roofing companies in the Chicagoland area. The problems inflicted by severe weather are always followed by a flurry of out-of-town “storm chasers” offering to help homeowners repair damage to their roof. We would like to remind our neighbors to never take chances with your most valuable asset just to save a few dollars or get the job done a bit faster! Instead, follow these important guidelines to ensure the contractor you hire is reputable and will be around to follow up on future warranty issues should they arise. Find out how long the contractor has been in business (three years of experience is recommended). Does he have a physical business address, or does he only work out of a truck? Fly-by-night roofers will often solicit door-to-door, using unmarked trucks. Investigate the business’s rating with the Better Business Bureau by visiting www.bbb.org. Ask the contractor for information on his insurance coverage and licensing, which indicates he meets all state and local business requirements & then verify it. Ask the contractor for at least 3 references from recent jobs, and take the time to call each one to learn about their experience. You may also want to visit the homes to see the completed work. Never make verbal agreements with a contractor without getting the details in writing, and never pay the entire bill in advance.